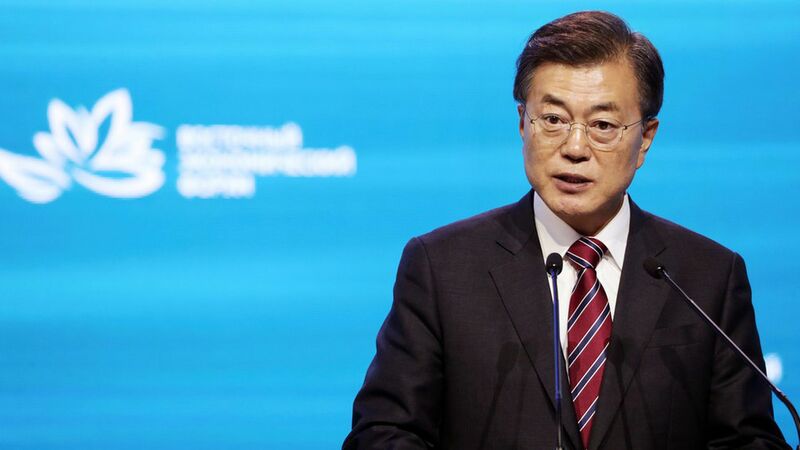 South Korea's president: North Korea is "deplorable"
South Korea's President Moon Jae-in called out North Korea's "deplorable" provocations before a meeting with Trump today at the UN, noting he is "very satisfied" with the U.S. response to North Korea. "The U.S. has responded firmly and in a very good way," he said. Trump said he was "very happy" Moon used the world "deplorable" — the same word Hillary Clinton used to describe Trump supporters during the election.